The Long Ryders' music was largely influenced by The Byrds (cf. the ‘y’ in Ryders) as well as Gram Parsons’ country rock. In 1987, the band led by the Englishman Sid Griffin and Stephen McCarthy closed down, only to regroup every February 31st (2004, 2009, 2016)... 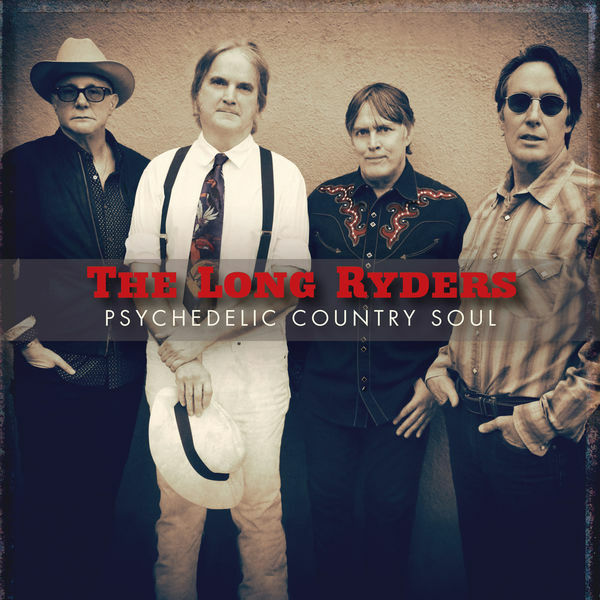 This time, with Psychedelic Country Soul, The Long Ryders offer something completely new. It’s been almost 30 years since they brought an album out! Still sounding like Buffalo Springfield and The Flying Burrito Brothers, Griffin and McCarthy as well as Tom Stevens and Greg Sowders haven’t changed one bit. Their interests remain the same, much like their writing skills. With a cover of Tom Petty's Walls, Psychedelic Country Soul will appeal to Americana fans. And behind the glass, as was the case at the beginning, the producer Ed Stasium (who has produced for the likes of The Ramones, The Smithereens, Living Colour, Motörhead and Soul Asylum) makes the whole thing captivating.